Technology visionary and NanoLumens chairman of the board Fran Dramis is the recipient of the 2016 GeorgiaCIO Lifetime Achievement Award. The annual awards presentation, produced by the Georgia CIO Leadership Association, recognizes the top chief technology officers in Georgia, with the ceremony drawing more than 1,000 attendees representing more than 300 organizations throughout the state. This year’s event took place October 28, 2016 at the Cobb Galleria in Atlanta. As NanoLumens chairman of the board, Dramis helps the LED visualization solutions company maintain a forward-thinking internal technology structure. In addition to his role at NanoLumens, Dramis also currently serves as chairman of the board for Catavolt. As CEO of F. Dramis LLC, he founded, chaired, and chartered the IT committee of the board for US Oncology, one of the nation’s largest networks of integrated, community-based oncology practices dedicated to advancing high-quality, evidence-based cancer care. This award adds to Dramis’ list of industry recognitions, which include receiving CIO Magazine’s CIO 100 Award in 1999 and being named one of the magazine’s Top 100 Leaders for the Next Millennium in 2000. Computerworld also included Dramis in its list of Premier 100 IT Leaders in 2002. Dramis spent much of his early career with AT&T, including projects with Bell Laboratories, the telecommunication company’s research and development wing. He also served as managing director and CIO of Salomon Brothers, president and CEO of Network Management Inc., and president and COO of Telic Corporation. 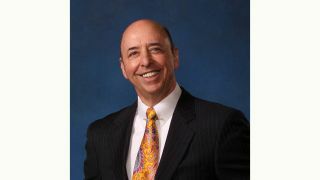 Dramis has also authored two books: The CIO Handbook, which details his unique methodology for aligning technology with the strategic direction of the organization, and Creating an Intentional Business Life, outlining his mentoring process in helping individuals, especially in the field of technology, chart a career path to a fulfilling business and personal life. He is a frequent speaker at technology and leadership forums, and at university EMBA sessions.